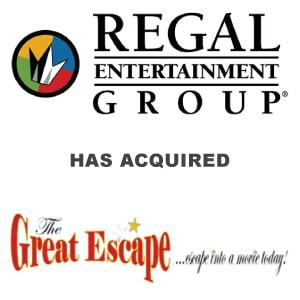 Regal Entertainment Group Completes Acquisition of Great Escape Theatres - Berkery, Noyes & Co., LLC. KNOXVILLE, Tenn.–(BUSINESS WIRE)–Regal Entertainment Group (NYSE: RGC), a leading motion picture exhibitor owning and operating the largest theatre circuit in the United States, today announced that it has completed the acquisition of Great Escape Theatres and declared a special cash dividend of $1.00 per share of Class A and Class B common stock. Regal acquired a total of 25 theatres representing 301 screens at a pre-synergy multiple of approximately 5.5 times cash flow for an aggregate purchase price of $91 million in cash. The acquisition of the Great Escape circuit will enhance Regal’s presence in Georgia, Illinois, Indiana, Kentucky, Missouri, Nebraska, Ohio, Pennsylvania, South Carolina, Tennessee and West Virginia. 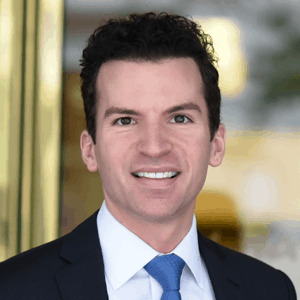 The transaction involved multiple sellers and the aggregate purchase price includes repayment of the sellers’ debt and the assumption of working capital and is subject to customary post-closing adjustments. The sellers will also maintain an interest in the real property associated with seven of the acquired theatres. Additionally, Regal’s Board of Directors declared a special cash dividend of $1.00 per Class A and Class B common share, payable on December 27, 2012, to stockholders of record on December 11, 2012. Today’s announcements will not affect the previously announced dividend of $0.21 per Class A and Class B common share, payable on December 14, 2012, to stockholders of record on December 5, 2012. Further, the Company intends to continue paying a regular quarterly dividend for the foreseeable future at the discretion of the Board of Directors depending on available cash, anticipated cash needs, overall financial condition, loan agreement restrictions, future prospects for earnings and cash flows as well as other relevant factors. “The acquisition of Great Escape Theatres and the special dividend of $1.00 per share clearly demonstrate Regal’s commitment to delivering shareholder value,” stated Amy Miles, CEO of Regal Entertainment Group. “We are extremely pleased with the addition of over 300 high quality screens to our industry-leading portfolio and expect the transaction to be immediately accretive to both earnings and cash flow,” Miles continued. This press release includes “forward-looking statements” within the meaning of Section 27A of the Securities Act of 1933, as amended, and Section 21E of the Securities Exchange Act of 1934, as amended. All statements included herein, other than statements of historical fact, may constitute forward-looking statements. Although the Company believes that the expectations reflected in such forward-looking statements are reasonable, it can give no assurance that such expectations will prove to be correct. Important factors that could cause actual results to differ materially from the Company’s expectations are disclosed in the risk factors contained in the Company’s 2011 Annual Report on Form 10-K filed with the Securities and Exchange Commission on February 27, 2012. All forward-looking statements are expressly qualified in their entirety by such factors. Regal Entertainment Group (NYSE: RGC) operates the largest and most geographically diverse theatre circuit in the United States, consisting of 6,607 screens in 521 locations in 37 states and the District of Columbia as of October 25, 2012. The Company operates theatres in 43 of the top 50 U.S. designated market areas. We believe that the size, reach and quality of the Company’s theatre circuit not only provide its patrons with a convenient and enjoyable movie-going experience, but is also an exceptional platform to realize economies of scale in theatre operations. Additional information is available on the Company’s Web site at www.REGmovies.com.